It goes without saying that one of the best perks smartphones and tablets offer us is that we can stay connected to the world at all times thanks to a plethora of apps available on various mobile OSs. 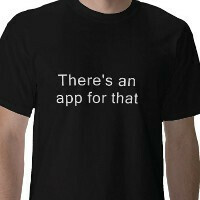 "There's an app for that" is a worldwide known phrase, and you get what you see with it, i.e. you can dedicate your free/work time to Angry Birds or some other addictive game, check social networks like Facebook and Myspace, chat with your Skype contacts, organize your day, keep yourself up to date with the score of the match you wish you were watching or just check whether your flight is delayed because of this irritating fog or not. The list goes on, and truth is, you surely know what we are talking about, so we are quite intrigued to know what are your indispensable apps that you use day in, day out. If you are a long-time smartphone user, which are the apps you have been utilizing for years (and counting); if you are a new user, which are the first apps you downloaded, loved, and still do? Tell us with your comments below, as we are quite eager to find out which are the applications PhoneArena users can't live without. Tune in radio, Power amp, call filter, and oh yeah Amazon app store with the free apps! Umm.. apps I can't live without.. well i can live without all my apps but the ones I really love are: Instagram, Camera+, Superbrothers: Sword and Sorcery EP, Cut the Rope, Kindle, Pandora Radio, and a slue of others. BlackBerry Facebook, gmail, twitter, google maps, What'sApp,BBM iPhone Facebook, What'sApp, Engadget, IMDB, The Onion, Skype, TomTom, and whatever game I'm playing at the moment (Snow board hero). IMDB, Angry Birds, Stupid Zombies, TV Listings, Opera Mobile,and Facebook are the ones I use at least once a week if not once a day. RSS reader for news, google maps and pandora. I can definitely live without Angry Birds. I played it for 5 minutes, then deleted it. I don't see what all the fuss is about. Android: Google Maps Use it to get everywhere, Get business phone numbers, Check in. Gmail Enough said BBC News Read it three times a day and you'll know what happened outside your box Engadget Mobile (p.s. Make a phonearena App already....) Good mobile conversion of the site. Alarm Clock Plus It works, well. Only downer is it wont turn on the phone to alarm. Chase Mobile Banking Depositing checks from my phone, checking my balance. Evernote Great for taking down a note on the fly like during a project or team meeting.